Playing games that have jewels at the centre of theme always gives us an extra enjoyment factor. We aren’t totally sure why that is, but if you like us get the same feeling then you are going to love Jewel Strike from Blueprint Gaming. 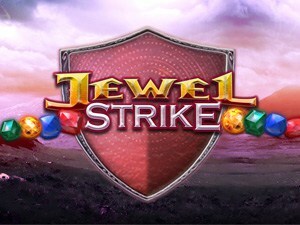 Jewel Strike is a 5-reel, 10 fixed pay line slot and it offers an absolute gem of an RTP at 96.10% for players. Reels spin against a mountain range backdrop and symbols all feel very lush in design. The background music leaves a little to be desired, but the joy is you can shut off the sound if you wish too. Bet Amounts – Betting begins at 20p per spin and can be adjusted to the maximum of £50 per spin. It’s easily increased or lowered by clicking on the arrows next to the stake amount to the left of the win box. Symbols – There are no wild or scatter symbols within Jewel Strike, so this is probably making you wonder where the big wins will come from. Well worry not, because there are two amazing features in place that will help you in that department. The symbols within the game however range from Gold, Red, Blue and Green gemstones which are your higher paying symbols. Your lower symbols depicted as usual by the A, K, Q, J, and 10 have also been given a gemstone makeover and look almost carved out of precious stones themselves. Gold Gem Stack Feature – Your gold gem can appear stacked on the reels in Jewel Strike. If you are lucky enough to fill all reels with stacked gold gems, then you are looking at a x5000 win on your stake amount. Colossal Reels Feature – Colossal Reels is simple enough to understand, because at any point and at random you will land a giant 3×3 symbol of any type. Once you land this 3×3 symbol the other two reels will then stop spinning and you will have a guaranteed win of some sort. This happens more often than you would think, with the big wins landing during this feature; but as it is random you will never know when it will happen. X20 your stake amount will remove 10, J, Q, K and A from the reels. Choosing any of these will drastically change your bet amounts, so be completely sure you want to do this before going ahead. There is no telling whether or not removal of the symbols will increase your win chances, however with the removal of 3 to 5 symbols the odds seem to be higher. With an overall pleasing game design that’s easy to understand we can see why this game can prove popular. 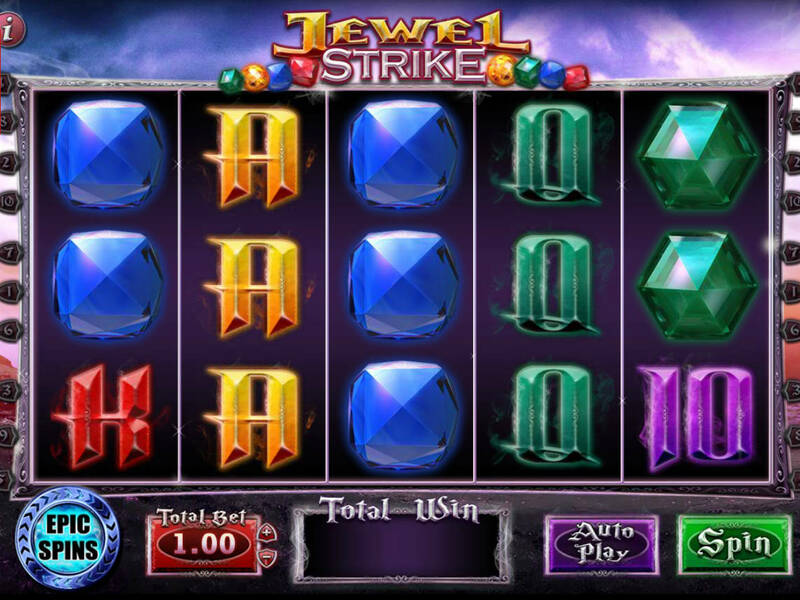 Despite our love of all things jewel related, Jewel Strike, for us did seem lacking in part and though we had fun playing we did bore easily. Whilst in play we noticed wins happened often enough both in normal game play and during epic reels, it’s just the win amounts varied. So, using epic reels is totally a personal choice, but we soon switched back as it made our funds last longer.